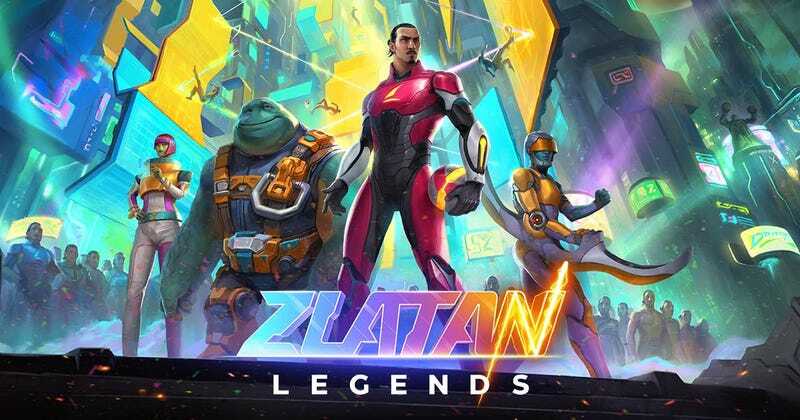 Zlatan Ibrahimovic, a gift from the heavens to the game of football, has a new video game out. And there’s not a blade of green grass in sight. Instead, it’s a sci-fi sports game where Zlatan is picked up by aliens to serve as Earth’s champion in a galactic Driftball tournament. And everyone he races against...is another version of Zlatan. Because of course he is the universe’s ultimate physical specimen. It’s out now on iOS and is coming soon on Android. While I will play this just for the voice-over and cinematics, in terms of how it plays...it actually looks kinda interesting. It’s a racing game where, instead of running or piloting a vehicle, you progress by kicking a ball down a course. The ball moves pretty fast, but needs to be kicked (during which time everything slows down) to break through obstacles, so it’s all about getting the timing right on your actions. If there is ever a class taught about the best way to adapt a celebrity to a video game, I want this to be the textbook example.